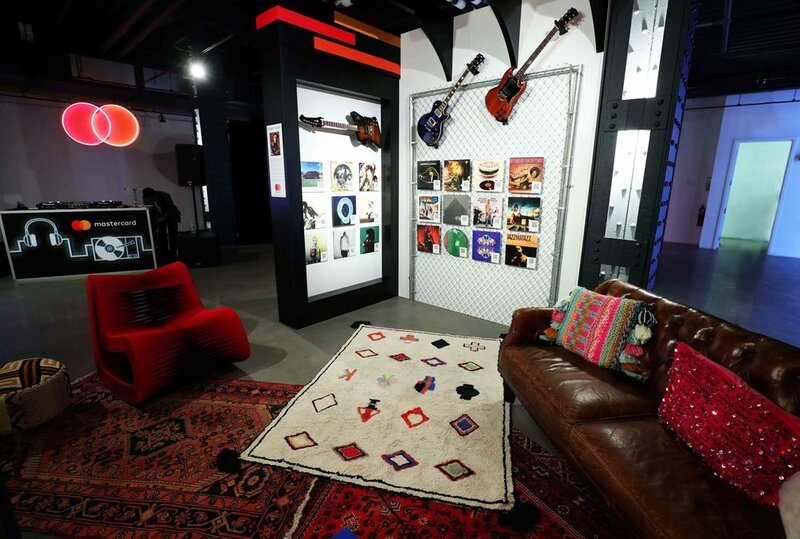 In January 2018, Mastercard debuted their latest “Priceless Campaign”, an initiative designed to empower cardholders to pursue their passions and create unforgettable memories while exploring the priceless side of music. 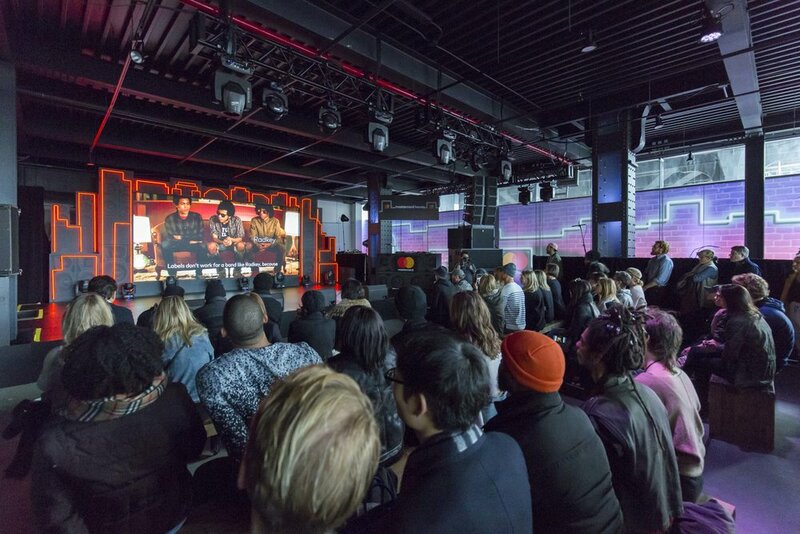 By bringing a 5-day pop up and cultural destination to New York city during GRAMMYs® week, Mastercard wanted to drive prime visibility to the integrated campaign. As lead production agency and longtime partner, BMF was tasked to develop and execute the creative concept, design, and programming for the GRAMMYs® House, while artfully bringing the cardmember benefits to life through real-time experiences. Partner Agencies: McCANN New York, CARAT, Octagon/FRUKT, Ketchum Inc.
BMF, alongside partner agencies, conceived and executed “Mastercard House,” a nearly 4,200 square foot robust showable environment designed to accommodate daytime programming, evening performances, and curated activations, all while showcasing the power of music and discovery. Design elements reinforcing the ‘priceless’ mindset included a 27-foot dimensional stage backed by a sound and LED wall with the NYC skyline, a custom recording studio installation where guests could burn their own vinyl, and a real-time graffiti art mural activation. Bringing to life card member benefits, BMF hosted an opening night for VIP’s, influencers and press, with an energetic live performance by SZA, while exclusive daytime Q&A panels featured dynamic conversations with talent artists and designers including Prabal Gurung, and Victoria Canal. A custom consumer journey was created in which guests could scan any item’s QR code, and have it immediately added to their shopping cart. Payment with Masterpass and expedited pick-up at the merchandise counter further positioned Mastercard as a progressive and innovative brand.